Good location too transport. Very quiet and peaceful at night. A very nice and homely hotel. the staff are friendly and the rooms are good. The location is excellent. Very good value for money too. 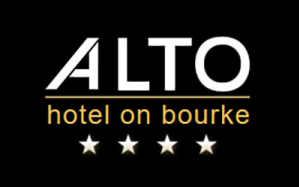 Our family decided to stay at Alto Hotel after reading the reviews on TripAdvisor. After spending 3 days at Alto, we would say that we have enjoyed our stay. Kudos to all the reception staff who were friendly and helpful and to those who have put great effort into maintaining the cleanliness and comfort of the hotel. We were very happy with our stay - the staff were very helpful at all times - we did go and buy some softer pillows - but that was a personal preference. Alto was clean and comfortable with a great location. The green environmental aspects were a great bonus. It was part of the reason I chose to stay with Alto. Really lovely hotel. Most comfortable and clean. Exceptionally comfortable bed and pillow. Loved the "green" theme too. Very conscientious of our environment. Fantastic! Will cetainly recommend to others. fantasic hotel, staff and character. A nice stay, was upgraded to a larger apartment, room was comfortable and had all amenaties that I could want. Had a most enjoyable time and felt at home. Restaurant was very relaxing after a busy day out and prices very reasonable. Staff friendly and efficient. Room upgraded adding to comfort of property. Excellent, Service was great, breakfast excellent, would recommend to otheres and stay there myself again. A very pleasant enjoyable stay..
it was great and suited my purposes.